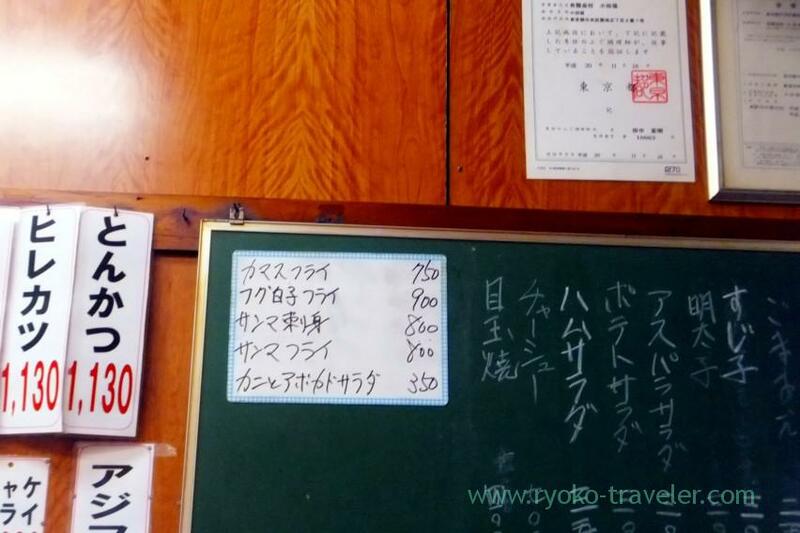 Though I want to try another regular foods, whiteboard menu of Odayasu attracted me that day, too. Deep fried barracuda (kamasu), deep fried salmon roe, saury sashimi, deep fried saury, and crab and avocado salad. Autumn and winter is altogether on the menu. I couldn’t avoid ordering soft roe because soft roe is my delight food that can be eaten in Winter. This is my breakfast that day. 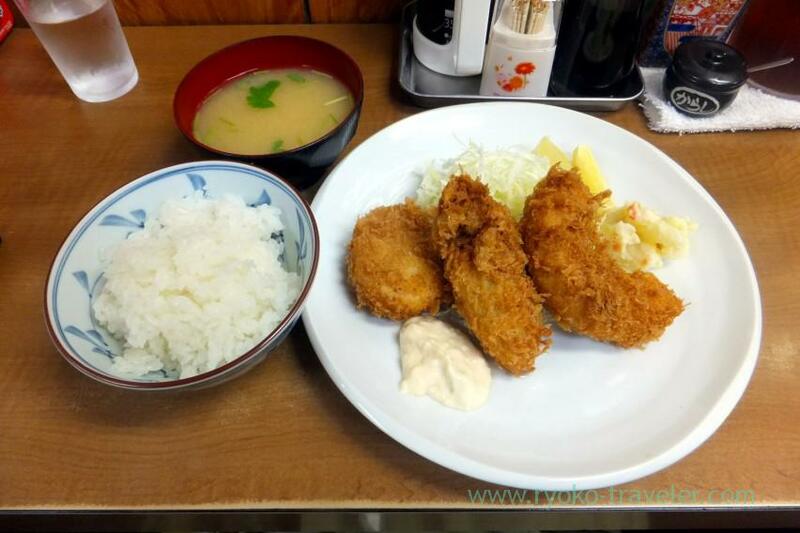 Deep fried foods were, from left to right, scallop, oyster and soft roe. And I ordered miso sou and rice (+450 yen). 1850 yen in all. It’s gorgeous breakfast for me. I think this is the greatest choice because everything is my delight. Soft roe and oyster is winter tastes. 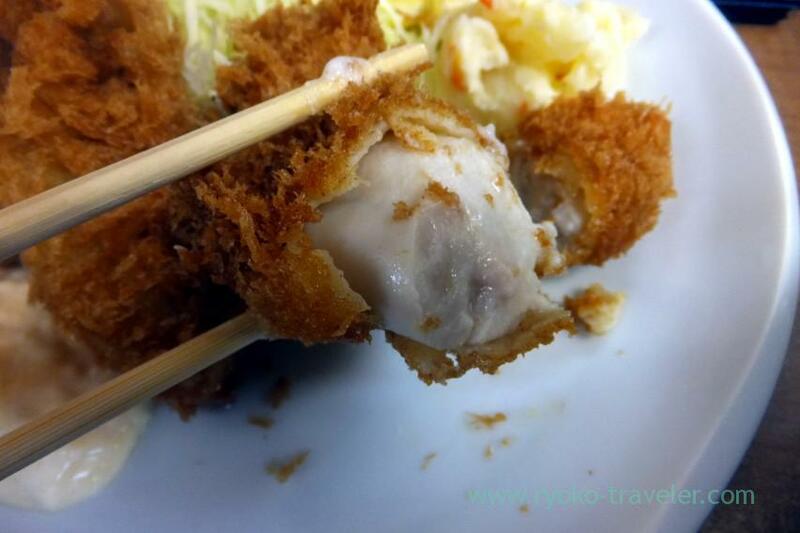 And scallop is so popular ingredient for deep fried foods at Odayasu. You might not be able to find from this photo, but this soft roe is large and so soft. It’s difficult to hold it with chopsticks. Maybe you think oily deep fried foods is not good for breakfast. certainly, greasy foods is unsuitable for breakfast. 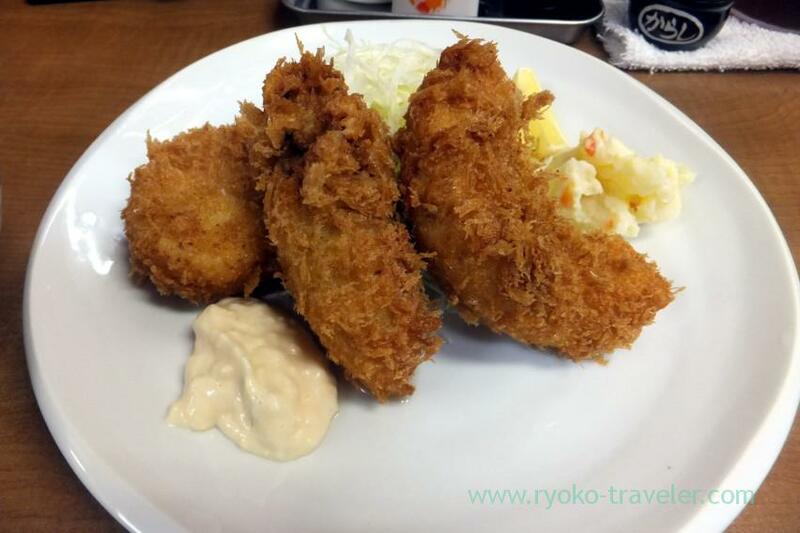 But Odayasu’s deep fried foods are light and not oily. I think I can eat their deep fried foods every morning. So, I want to live in nearby. It’s my dream.